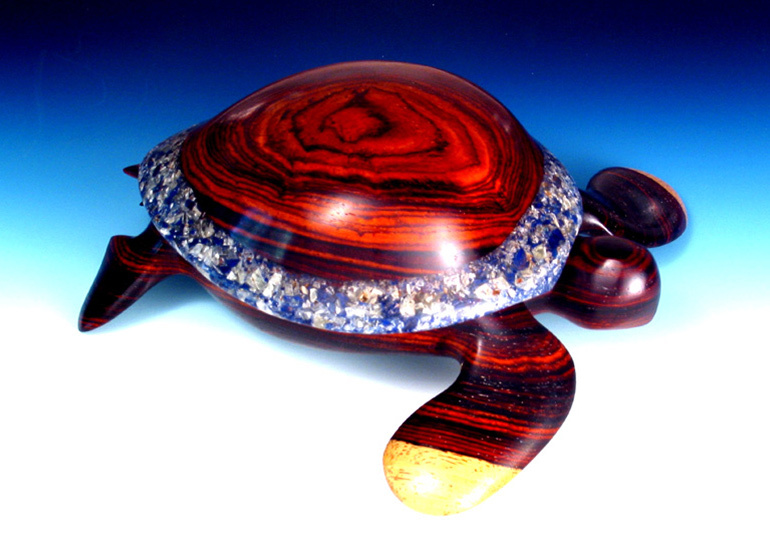 Materials: Cocobolo wood with inlaid minerals. Rim is translucent calcite. Finished with tung oil.